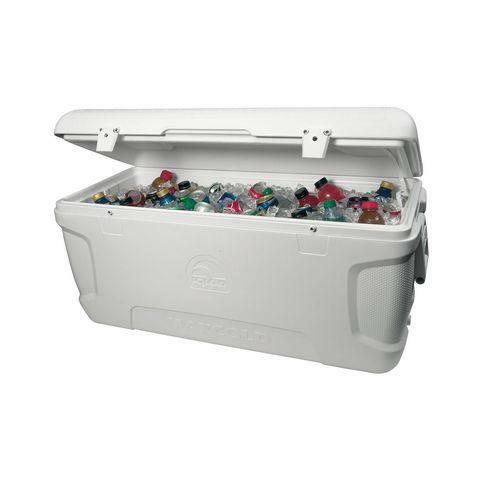 White 150 Qt Capacity - Ultratherm Insulated Body and Lid. 5 days cold retention. 1 ea per carton. Designed with maximum performance in mind for fishing, camping or any outdoor sport. MaxCold performance - 5 days at 90 degrees F. Reinforced swing-up handles with tie-down loop feature. Integrated fish scale keeper and molded drink holders in lid.